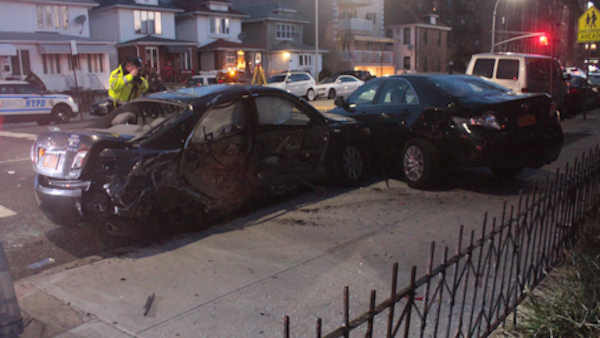 GRAVESEND, Brooklyn (WABC) -- Police say a drunk driver caused the crash that killed a livery cab passenger overnight in Brooklyn. Officers say a car hit the cab at the intersection of Avenue P and West 2nd Street in Gravesend about 3:15 a.m.
56-year-old Abraha Shmailov of Sheepshead Bay died from traumatic injuries, The drivers' injuries wre not life-threatening. 24-year-old Peter Michael of Marine Park faces vehicular manslaughter, DWI, and other charges.